When you ask the leaders of great teams why they continuously outplay their competition, they very often reference the quality of their people and their Culture. When asked to elaborate many will point out that their people ARE their Culture. True sustainable competitive advantage is about people and Culture, but most don't even know what theirs is or how to leverage it. The best do. Culture and people are the secret sauce. In this talk we drill down into two of the bigger picture elements associated with long term success: Culture and people. 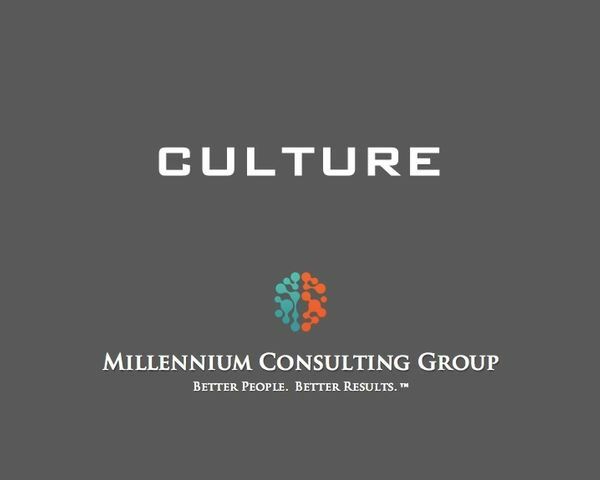 By profiling organizations with winning Cultures we make the case for Culture and for why people and team are two of the primary ingredients. Culture is the ultimate competitive advantage. Millennium Talks can be purchased as stand alone sessions, as a complete package or as a select combination package. Pricing is customized on a client-by-client basis so please email or call for a custom quote.